You wouldn’t think such a small room could be so full of clutter, would you? 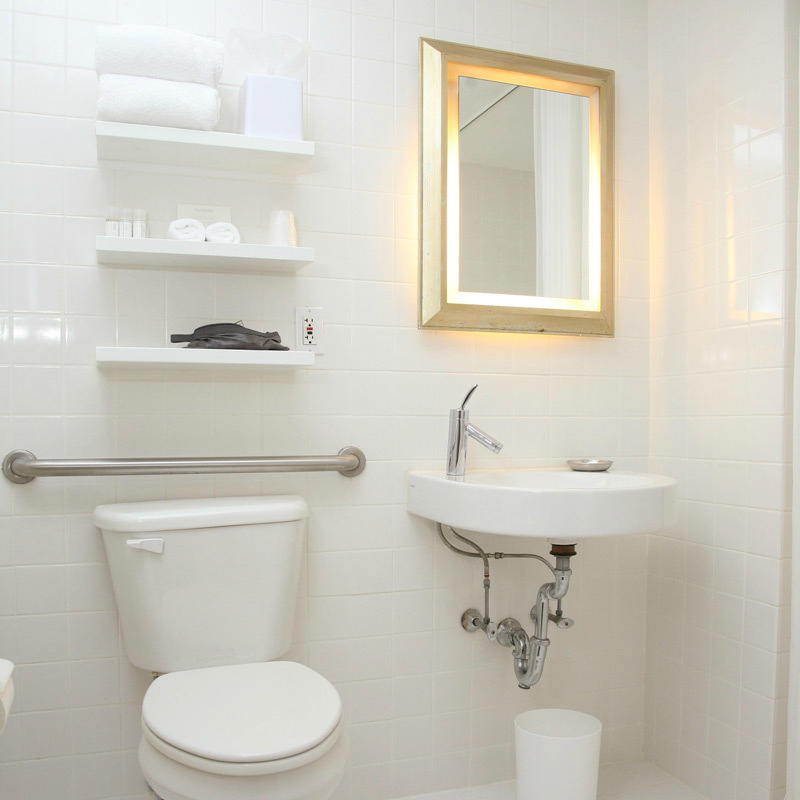 And our bathroom – I’m telling you – is tiny. Forget a cat, you can’t swing a mouse in it. BUT it was still a magnet for clutter. Expensive mistakes I felt guilty about chucking out. Possibly helpful stuff, that in another life I might actually have time to use. Things long since expired lost at the bottom of the cupboard. Quadriplicates – is that a word? – of items, I’m not sure I even needed one of. Not to mention the monsters – eek! – moulding in the bath toy bucket. Does that sound familiar? Yep? It’s not nice is it? BUT the good news is, you can declutter your bathroom super fast. With a 15 minute power purge. Now, if you get my decluttering support mails, you’ll know I’m sceptical about big purges. I’ve decluttered most with the just 10 things method. PLUS small regular 30 minute projects. Sometimes, we all NEED fast and furious. When the clutter is overwhelming AND we have NO time to do anything about it, we need to be able to hit one room, quickly get rid of stuff and get out again. And that’s where the power purge comes in. 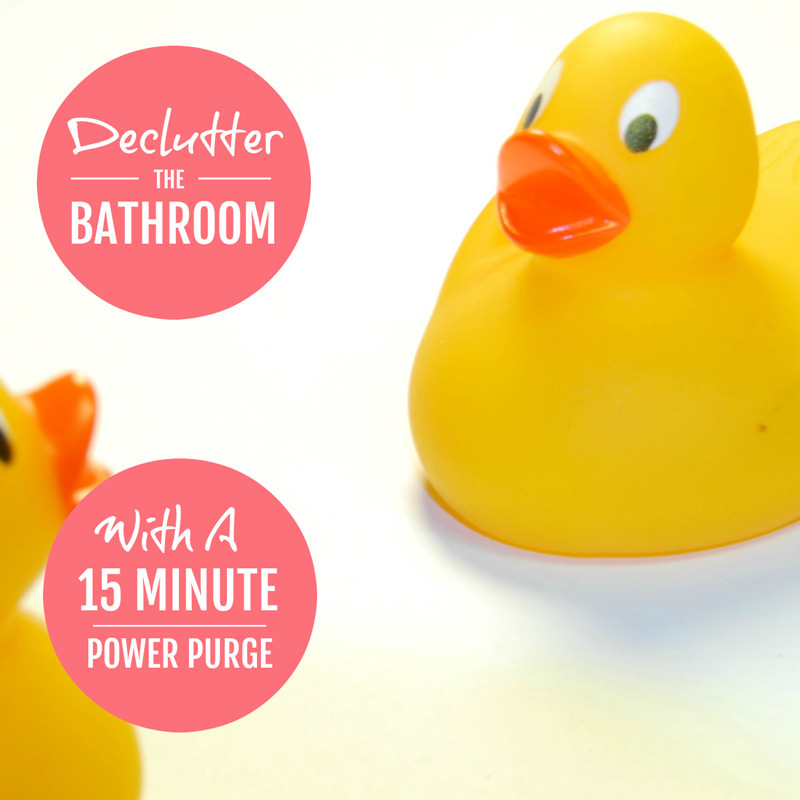 It’s a fab way to quickly declutter your bathroom. It’s NOT about yanking everything out Marie Kondo style. OR carefully going through each item to consider if it brings us joy!!! It’s simply about setting a timer for 15 minutes … THEN opening our eyes. AND noticing all the clutter hiding in plain sight. That can instantly go in the bin, the recycling or your charity bag. NO debate. NO angst. NO regrets. Well to help you out, I’ve a list below of all the stuff I decluttered from my bathroom. REMEMBER you don’t have to get rid of everything – just what you are READY to let go. If you just started decluttering it might be 5 or 10 things. And that’s great. Every time you let go of even one thing you get better at it. And in a few months, you might do another power purge and get rid of 50. The secret is just to keep practising. SO what are you waiting for? Here’s your list. Set your timer. AND go! Mouldy, broken or unloved bath toys – we had LOTS of these! Raggedy, stained bath towels – two each good ones is enough surely? 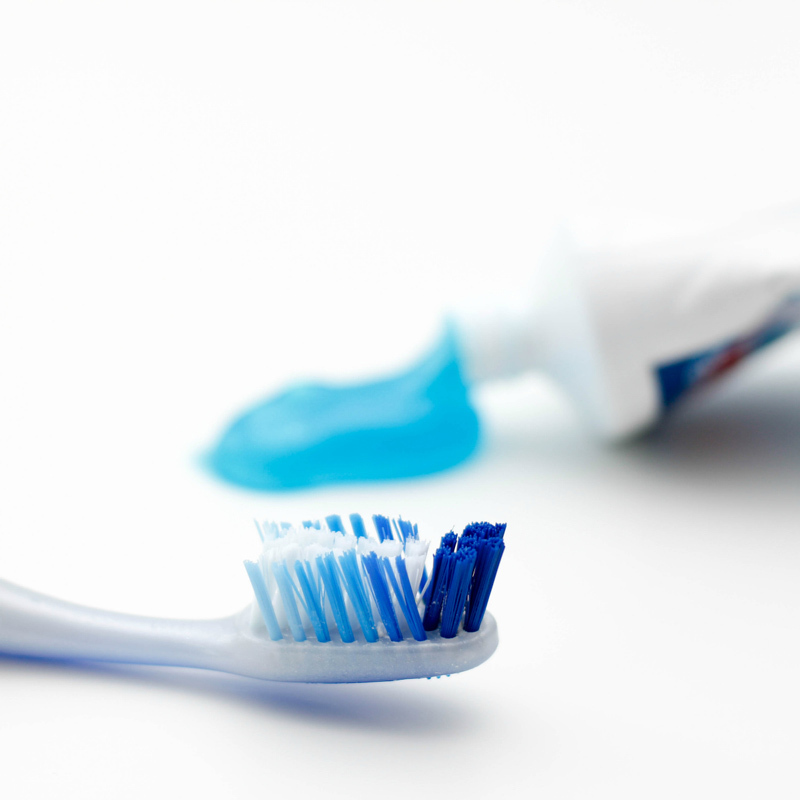 Quickly letting go of even a few of these will help you reclaim your bathroom as a sanctuary. Rather than the jumble sale, our’s had definitely become. As always, I hope this helps you declutter and feel less overwhelmed. I really do know how bad a home full of too much stuff can feel. For more super simple declutter advice do sign up for my newsletter. For more declutter tips, right here, right now check out all my Happier Without posts. OR if you love Facebook, follow my new Happier Without page for daily motivation and support.